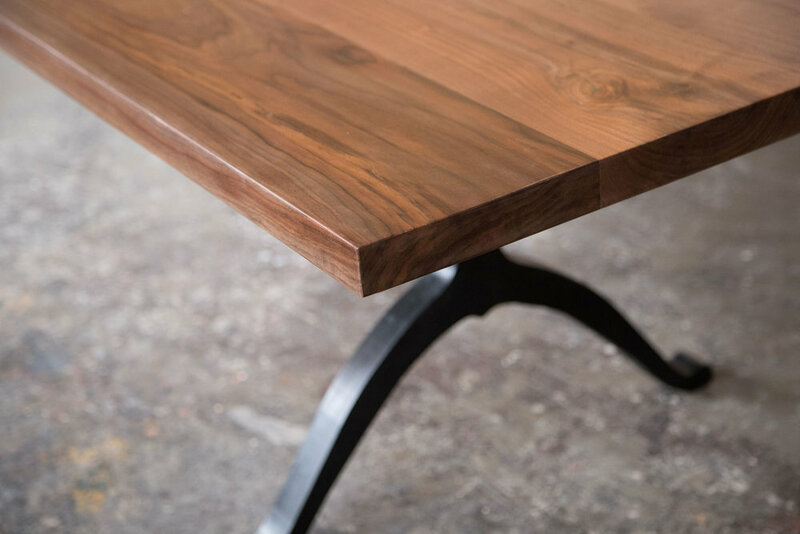 This table is constructed using local hardwoods (shown using Pennsylvanian black walnut) with an almost invisible finish to show the natural color and beauty of the grain. 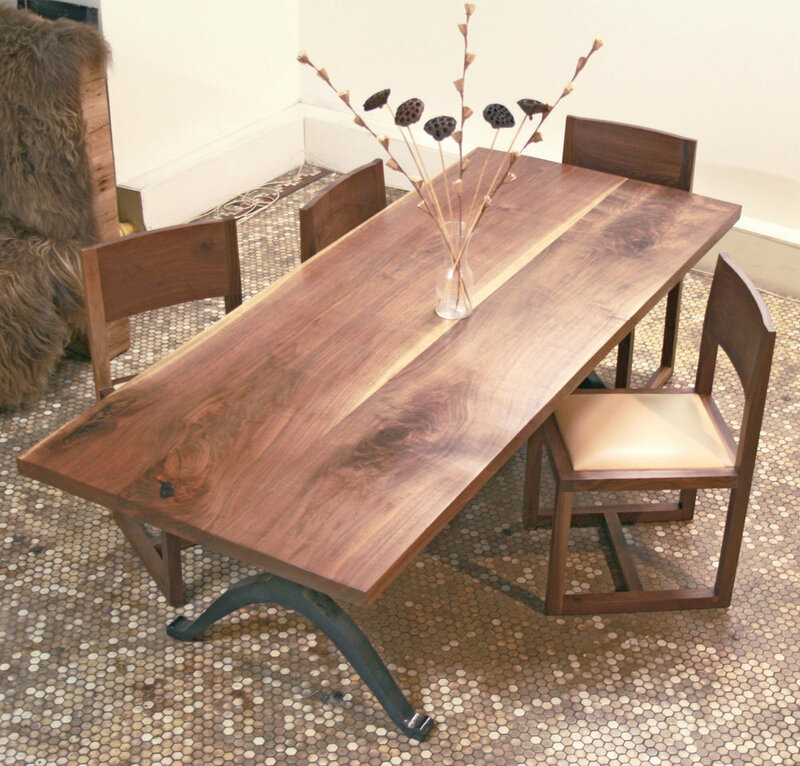 This is our alternative to the Live Edge Dining Table, for those who want a slab table with a hard, finished edge. 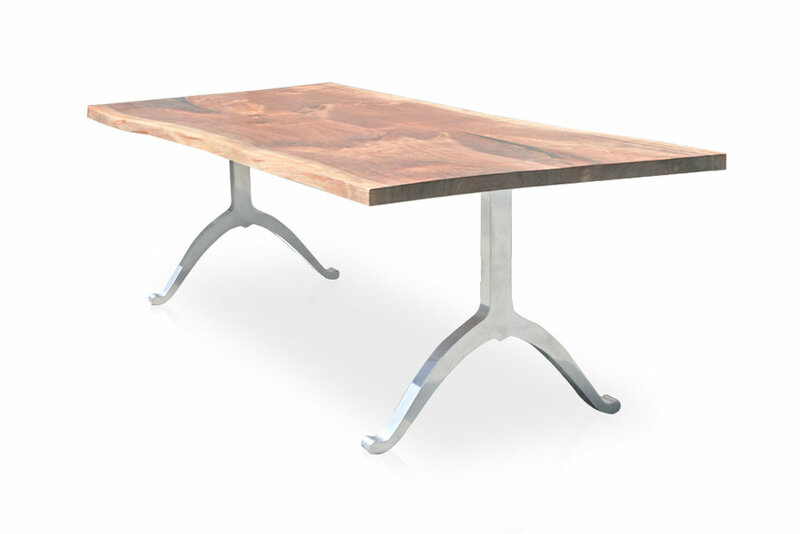 Juxtaposed with our Wishbone steel leg system, the table has a unique statement: a harmony of two very different materials. 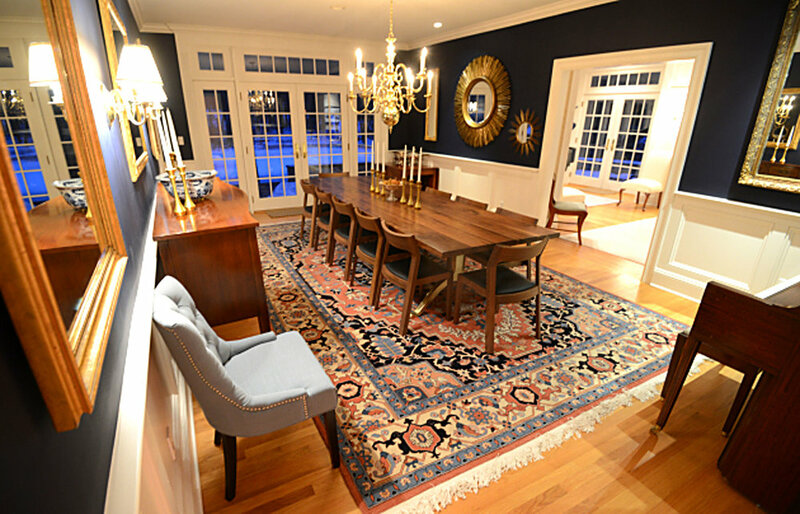 Finished with a durable, water-based polyurethane.